And they're worth the $300 and the pain in the tuchus of having to replace batteries like hearing aids. They do what they're supposed to do. Just having them in your ears is not like not having them in your ears. You can hear pretty much the same volume level but the frequency response is not like having nothing in your ears. And then these were my impressions as I thought of them. The active part of them is a tad disorienting at first. And yeah, when they're in and stuff is happening at normal (quiet) volumes around you it doesn't sound quite as good as real life. 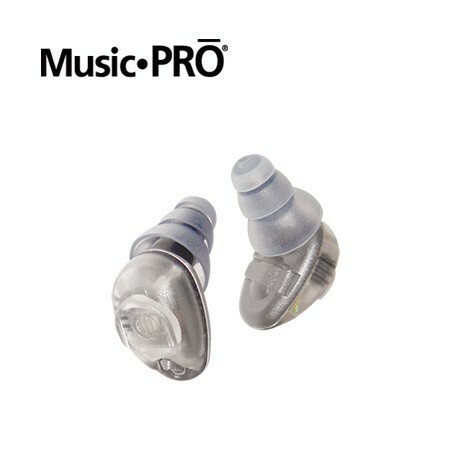 There's a switch on each ear to go from "enhanced hearing" (which is basically it acting like a hearing aid) with 9dB of protection, to "normal hearing" with the regular 15dB mode. I wish that switch would actually be an "off" and then "on" (15dB mode) so that you don't have to pop the batteries to keep them from draining. Because the two earplugs aren't connected electrically the loss of "stereo" happens whenever a loud sound happens on one side of you but not the other. This is because one earplug turns stuff down while the other doesn't. This is why stereo processors for broadcast and the like are always "linked". In any case, it takes a bit of getting used to when one ear shuts down because of a train's brakes squealing or whatever. I wore them for 3 hours straight and my ears were feeling a bit itchy. That's when I realized that I was wearing them for vastly longer than I usually wear earplugs -- because they weren't really dulling anything when I was out on the street. When they kick in they are smooth. You do not hear them "compress". Loud drums don't make them pump the way I would expect a regular compressor to do. It's sort of surprising to go from electric band in full-on rock-out mode (I won't say I dimed the Bassman I was playing through but I definitely had it on 8) to just chatting in the rehearsal room without noticing the changes in volume. They work great. I'm gonna imagine that in an acoustic situation where you want just one ear to shut down because there's a freaking trombone just a few feet away but you also want to hear your own violin, the Music Pro are the way to go. On the way home from practice I was tired of having things in my ears so I put on my Howard Leight for the ride back. I may want to experiment with the fit and the placement because the Pros come with a million options. Nominally I try to avoid the foam kind because I find they're more fiddly, but those are an option as are different sizes of rubbery inserts. I do appreciate the cleaning brush. My impression is that they might be a bit more irritating because it's not one's instinct to immediately take them out when in a "non-dangerous" environment.